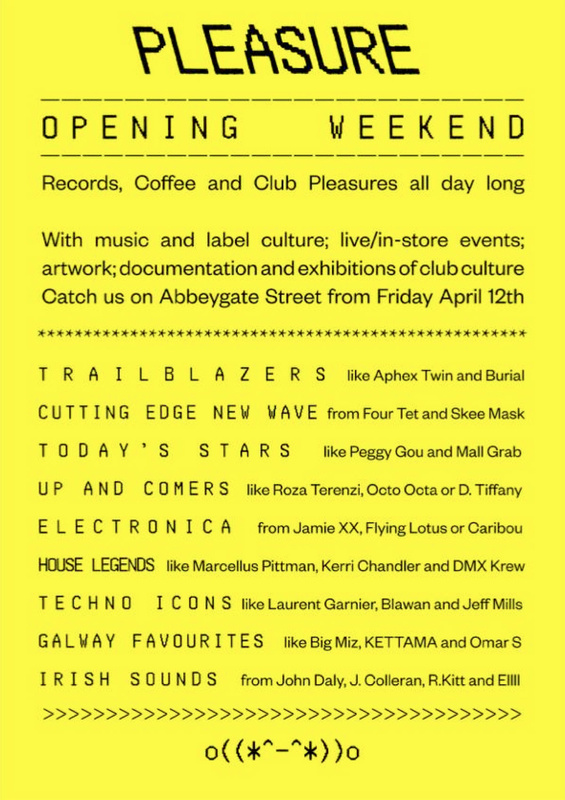 Galway’s pioneering record, coffee and club spot is launching this weekend with a stellar lineup of familiar faces. We had the chats with John Gillen, the driving force behind the concept, about all things Pleasure. Growing up at the epicenter of the club scene, John is no stranger to the discotheque. “My family business is Electric. I’ve been working there since I was a teenager on and off for the last ten years. Being so involved in the club scene, seeing how it’s changed over time and how I have changed myself, finding that that’s what I’m really interested in”. This undeniable passion for the culture lit a fire in John to create a hub for like-minded music-lovers to take refuge from the nightclubs. So came Pleasure. “It’s about having a space to experience club culture outside the traditional club experience. I wanted a place for people who I really like and want to be around all the time. It’s for people who would fit into that mix, people who are into the music and just want to hang out. It’s for friends, and friends of friends”. Pleasure is for a niche group of people. It stocks mostly dance records. House, disco, techo, electro – you get the gist. With a little bit of hip hop, alternative and indie thrown in, the space provides all the realms of a club experience without having an underage raver roaring in your face. Art, politics, visual culture – there is so much more gone into this space than just a bit of techno. It draws a circle around a specific group of people and caters to their music taste, style, culture and beliefs. 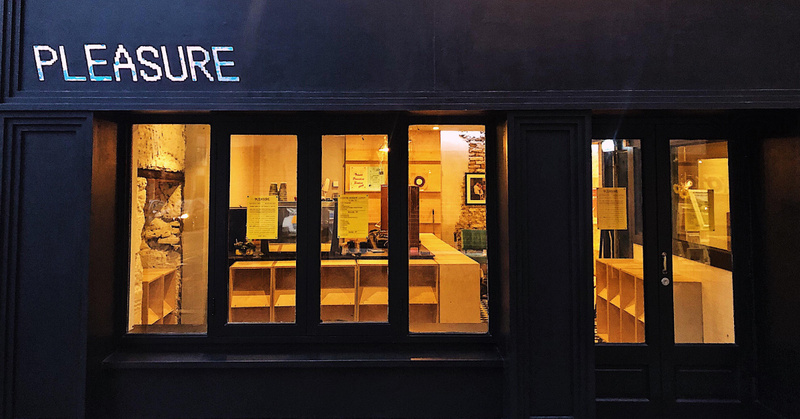 The aim of the space is to celebrate and elevate the essential party experience through records and label culture, live in-store events, artword, books, photography, documentation and exhibitions. It is not just a nostalgic nod to a forgotten artform, but a cultivation of real interest in an element of our society that is gradually becoming lost. Setting the tone for what’s to come, the launch will spotlight Galway’s most well-respected and influential faces. Shampain, Padraic Disconaut, Enda House and loads more unreal DJs will be serving up an authentic buzz like no other. On Saturday – World Record Store Day – there’ll be 10% off all records, as if you needed any more on an excuse to head down. 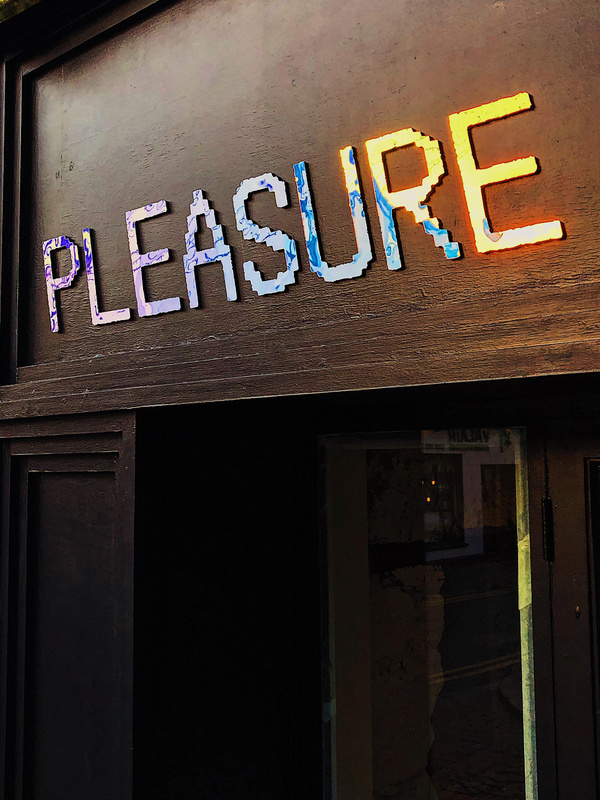 The lads at Pleasure are offering something different. Something new. For DJs, it’s a unique and intimate performing experience. It breaks up the monotony of a nightclub setting, providing a chilled out, judgement-free, community atmosphere. These daytime elements will feature sets from DJs playing their own records, release parties and a welcomed escape from the nightclub. For those on that 9 to 5 grind, you’ve found your new home. John’s devotion to this project is palpable. He has seen it through from an initial concept to a real and actualised business. His gratitude to all of those who helped out in the creation of Pleasure is immense. A sound bunch of characters poured a lot of blood, sweat and tears into this place, so make sure to show your support. Join the ever-growing community of music-lovers welcoming Pleasure to town this weekend.